Andrew Ronchi of dorsaVi brings us the data on medical wearables and why utilizing this innovative technology can reduce injuries to the workforce. Employers have a legal duty of care to their employees. They should make sure that employees can work in an environment where risks to their health and safety are controlled. This means there are strict procedures in place when it comes to handling machinery, work equipment, chemicals and so on. The procedures are there to prevent what are mostly traumatic workplace accidents. But however necessary such procedures are, they often do not prevent the most common type of work injury: musculoskeletal disorders (MSDs). These are mostly strains and sprains, shoulder injuries and back injuries, caused by thousands of seemingly innocent, but harmful repetitive movements every day. 126.6 million US adults were diagnosed with an MSD in 2012(1), twice as many as any other condition. Work-related MSDs have a severe impact on the quality of life for a majority of the adult population. In the US, 290.8 million working days were lost to MSDs in 2012 alone, for an average of 11.4 days per employee. The US economy lost $213 billion to MSDs in 2011, both in direct and indirect costs. That’s 1.4% of its Gross Domestic Product. So, not only are MSDs very costly for a national economy but for an individual company, workers’ compensation claims add up to a significant portion of keeping a company’s workforce healthy and productive. Additionally, compensation claims are often only the tip of the iceberg when it comes to costs. MSDs are linked to chronic pain for the employee, more pressure on the remaining team members and overall lower work morale and productivity. Employees who suffer from MSDs are also five times more likely to injure themselves again. The reason why companies often do not have proper procedures in place to prevent MSDs is not because they are unaware of the problem or don’t consider it a problem. MSDs develop over long periods of time, can be episodic in nature and can vary from mild to severe disorders. They’re also rarely life-threatening. This causes three distinct problems for companies. TRACKING CUMULATIVE TRAUMA: Because of the slow and gradual nature of MSDs, companies have no way to accurately measure which movements are impacting their employees in a way that will cause harm to their bodies years or even decades into the future. LACK OF OPTIMAL MOVEMENT PATTERNS OR GUIDELINES: Even if a company has an understanding of which movements harm their employees, they wouldn’t accurately know which movements to replace them with that wouldn’t be equally as challenging on the body. ENGAGING STAFF IN BEHAVIOR CHANGES: If a company then does try to make changes to how an employee performs a job, it’s very hard to convince that person to change their ways if they’ve been doing it one way for years on end. This is particularly the case if the company cannot provide proper evidence of the damaging effect of certain movements and actions. Even only a few years ago, there were no good solutions to these problems. Wearable technology that tracks a heartbeat or number of steps has been around for years and is now well-accepted by consumers, but such technology does not have the accuracy to help prevent MSDs, where even a few angles of difference can have a big effect compounded over years. To understand where MSDs occur, a baseline assessment needs to be done. The devices are applied to several employees with their consent and are used to measure the impact of their movements on their muscles and joints. These devices are unobtrusive and do not inhibit the task at hand in any way. The initial data set provides an idea of the risk level of performed movements and can then be compared to other movements for the same task to determine which movement has less impact on the body. Should the nurse kneel or bend when applying a bandage? Should the cleaner lunge or bend when vacuuming? Comparative assessments will help determine what movements are objectively better for the workforce. Combined with the widespread acceptance of wearable technologies by consumers, employees are much more understanding of why they should change their ways when they’re presented with objective data on the damaging effect of some of their movements. The advantages of medical-grade wearable technology has been seen in a project with Bard Pharmaceuticals. MSDs were a key business challenge for Bard, so they teamed up with dorsaVi to help reduce risk. Employing dorsaVi’s ViSafe system, warehouse employees were fitted with wireless movement and muscle sensors to measure the impact of their movements throughout the day. This data was simultaneously synced with video footage. The data and the key insights delivered from that data allowed Bard to understand their employees’ traditional practices and which movements objectively place a severe strain on the body. This led to a re-evaluation of certain movements that were high-risk, manual and often time-consuming. These movements were then compared with alternative movements that put less strain on the body and often took less time too. The result was a 40% reduction of the time spent in high-risk postures and ultimately an 87% reduction in MSDs. Having access to objective data not only allowed Bard to make changes to their employees’ ways of working, but it also helped to get the employees on board with the changes. Understanding why they should change the way they work by presenting them with objective data is vital to motivating them to change. The project was successful and Bard earned the 2017 EEF Future Manufacturing Health and Safety Award for their efforts to look after the health and safety of their employees. But MSDs aren’t just a risk in manual labor jobs. An assessment conducted by dorsaVi for a client in an office environment found that employees spent 54% of their day sitting, of which 76% was in a slouched sitting posture. Even in an agile work environment, where employees changed their positions on average 16 times a day, most of the sitting was done in poor posture. Through the use of ViSafe technology and by giving feedback on the spot, dorsaVi was able to correct postures so the employees spent 100% of their time in the lowest-risk zone of their respective workstations. 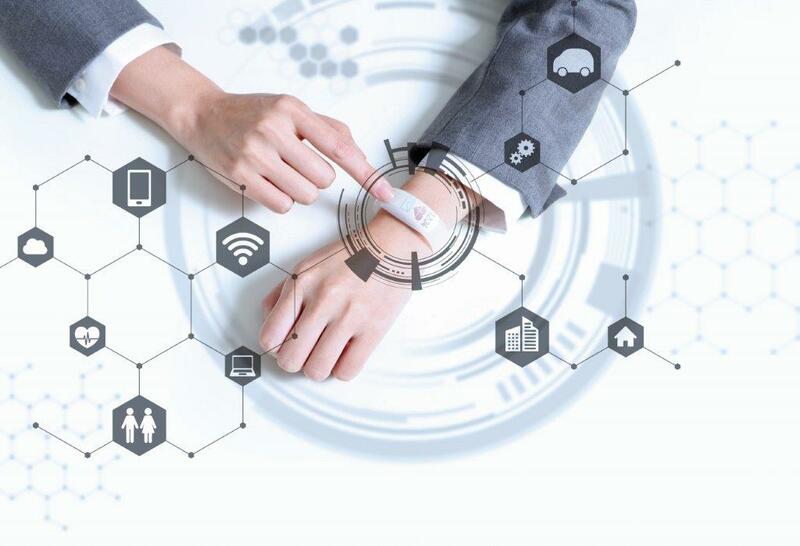 With today’s modern wearable technology, it is now possible to understand and avoid pernicious risks that cause problems over a long period of time but have a big impact none the less. This technology allows for a real win-win situation, where a company can have a more productive workforce and have less hidden and actual health care costs, while employees can avoid injury to their bodies, keeping them happy and improving the quality of their lives. Want to see how your work environment measures up? Get in touch and see how you can improve your workplace safety and productivity. For similar articles about medical wearables, please click here.